Purpose: Practice visual motor skills, eye hand coordination, visual tracking, and motor planning skills. Activity #1: Wrap three pieces of colored paper around the cardboard tube several inches for each other (or use colored tape). The adult should blow up a small balloon. Tie the yarn to the balloon and suspend it from the ceiling. Give the child the cardboard tube. The child should hold the tube horizontally with both hands. The adult can call out a color and the child should try to hit the balloon with that colored section on the tube. Repeat changing the colors called. Activity #2: The adult should cut a small hole in the cardboard tube near one end. You will need to use a sharp exacto knife. Put a large piece of clear tape over the hole on the outside and the inside. Give the child the tube. The child can put a small object in the tube (i.e. quarter, bouncy ball, etc.). Place both hands over the tube openings so that the object does not fall out. The child should try to tip the tube up and down slowly until the object can be seen in the window hole. 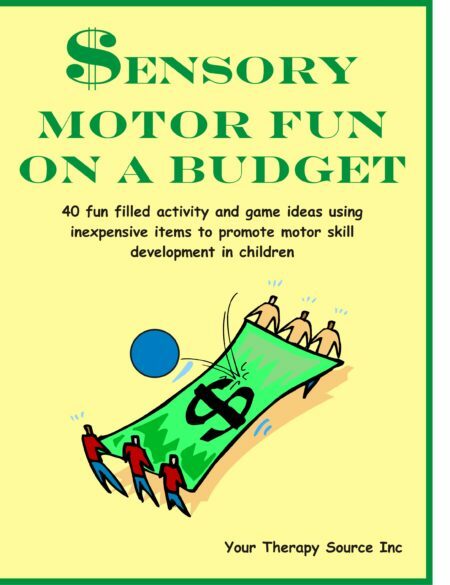 If you would like more activity ideas like this check out $ensory Motor Fun on a Budget. 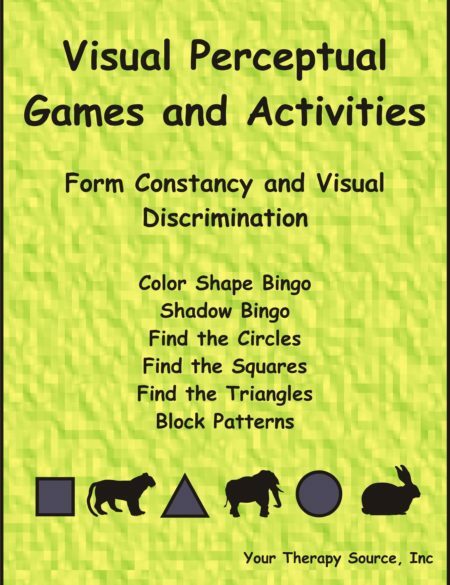 If you would like more visual activity ideas like this check out our Visual Perceptual Downloads.